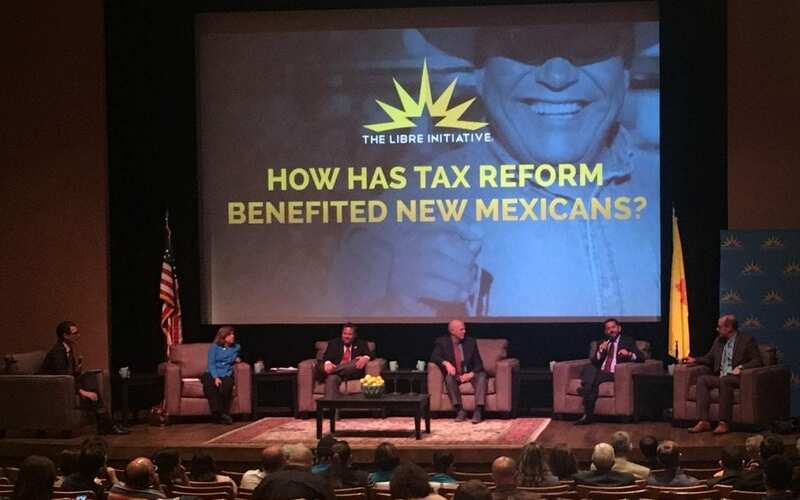 Over the weekend, Paul Gessing, president of the Rio Grande Foundation, participated in events on tax reform put on by the Libre Initiative. Alongside Congressman Steve Pearce and Lt. Gov. John Sanchez, Gessing discussed the tax reforms that were signed into law at the end of 2017. The photo below is of Gessing making a point while Pearce and Sanchez look on. 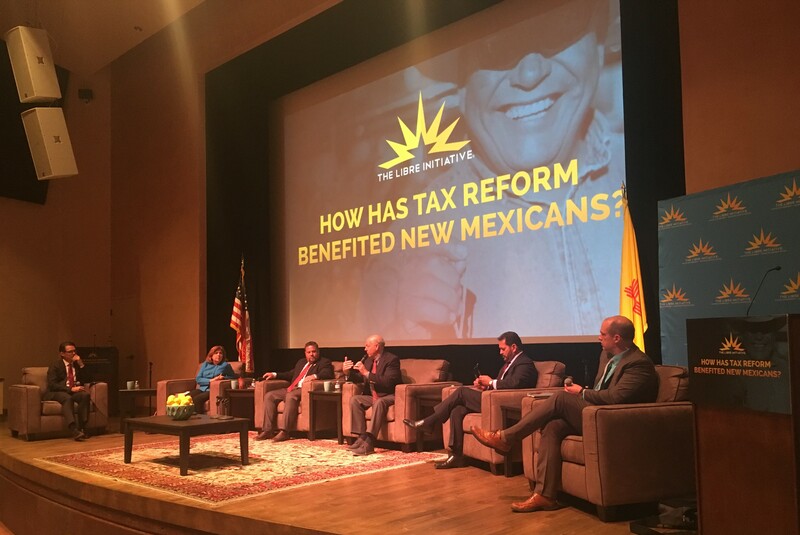 The panel also included former Tax & Revenue Secretary Demesia Padilla and New Mexico businessman Gary Coppedge. 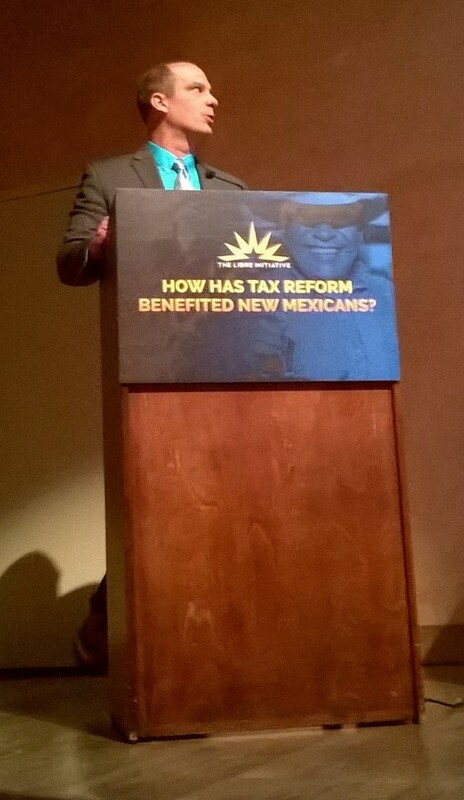 The panel was moderated by Daniel Garza, national president of the Libre Initiative. 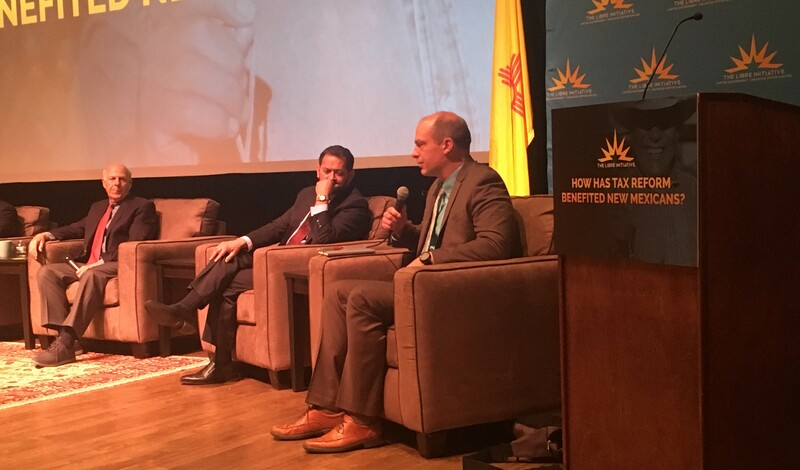 In a separate panel Gessing and State Representative Jason Harper discussed the need for state tax reform, especially of the convoluted and business-killing gross receipts tax. Gessing discusses the issue from a podium below.